Styled with kacy pant and the little puff . We made you a playlist on CD. 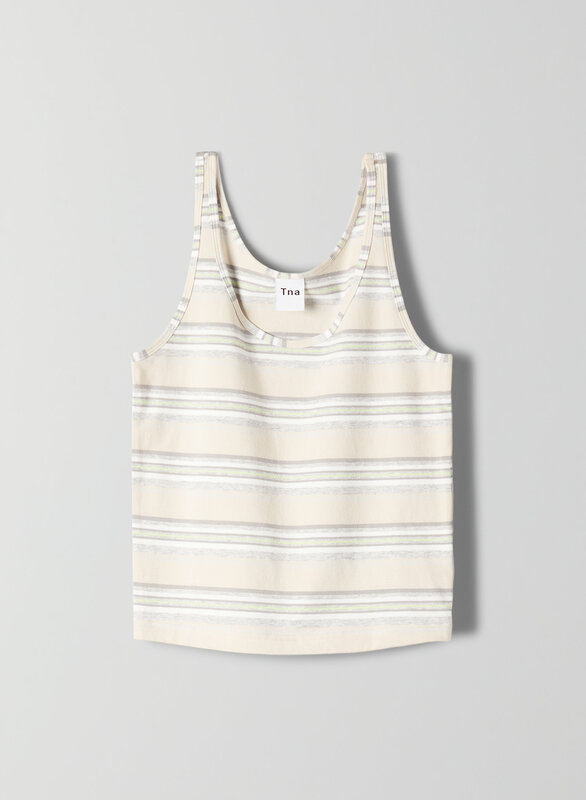 This version of the vintage-inspired tank comes in a colourful stripe pattern. It's made with Tna's signature high-stretch fabric, Aurant™.